The Anonymous : Need of 21st century ! Anonymous is the political movement of change for the 21st century. 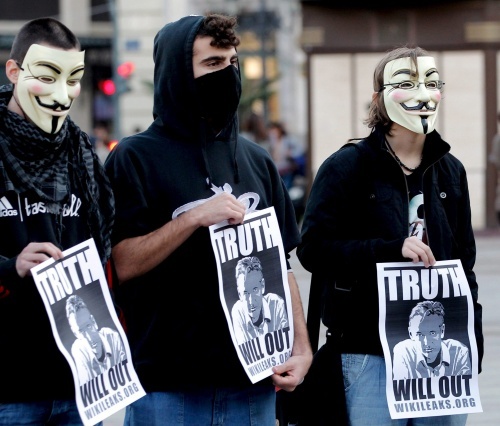 Anonymous can and certainly will accomplish what many other political and peace movements of the past could not. How will they achieve this? Through peaceful protest. When corruption, destruction and mayhem strikes from governments or corporations it is the goal of anonymous to awaken that entity and the public that a change must occur. Given that, many will use the name Anonymous to perform acts of a criminal and malicious nature. By doing this it gives the real "Anonymous" a bad name. In fact, governments and corporations will try to retaliate against the false anon by restricting internet freedom and user capabilities. We must understand that the Anonymous who strives for political change and world peace must be free to work without the mistrust and misdeeds of others who tarnish their good work. As price pritchet once said, "change always comes bearing gifts." Anonymous is the gift we have been waiting for. Honest and trustworthy persons working hard on our behalf for the betterment of mankind.